End unit, 1 bedroom, 1 bath upgraded condo in a gated Fair Oaks community. Great location - straight down Sunrise Blvd to HWY 50 and straight down Madison to I-80. Close to Sunrise Market Place for shopping and restaurants. Master bedroom has walk-in closet, french door to balcony with storage closet. 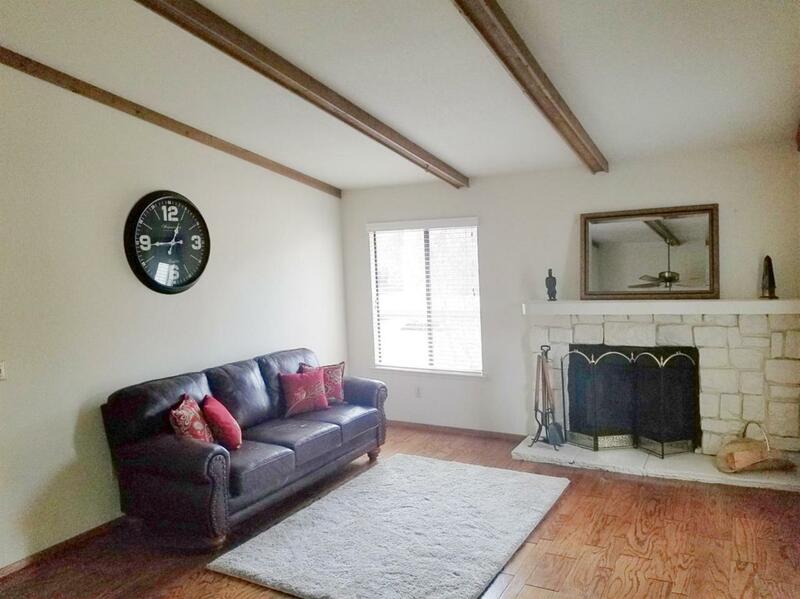 Living and dining rooms have beautiful wood flooring, fireplace, vaulted ceilings. New in kitchen: granite counter tops, stainless steel sink, faucet, garbage disposal, and painted cabinets. Washer, dryer and refrigerator stay.